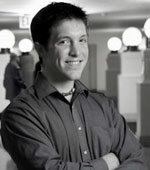 David Hardisty is an Assistant Professor at the Sauder School of Business at the University of British Columbia. Prior to this, David was Acting Assistant Professor at the Stanford Graduate School of Business. He received his PhD in psychology from Columbia in 2011, advised by Elke Weber, Dave Krantz, and Eric Johnson. Dave’s primary interest is in understanding how people value things in the future, and how to help people make sustainable choices for themselves and society. Dave’s work explores temporal discounting of losses, environmental outcomes, and social goals. On this project, he is collaborating with CRED researchers Elke Weber, Dave Krantz, and Katherine Thompson. More recently, Dave has an fMRI project exploring the neural underpinnings of intertemporal choice. Dave has a second line of research looking at time horizons in social dilemmas. His goal is to understand when and how people make trade-offs between their self-interest and the good of the group. On this project, he is collaborating with CRED researchers Dave Krantz, Poonam Arora, and Howard Kunreuther.